Immaculate, updated 2 BD, 1 BA home with an over-sized finished 2 car garage perfect for a work shop, man/ma’am cave, or even add a home office. New roof this year, newly painted porch and interior make this home move in ready. 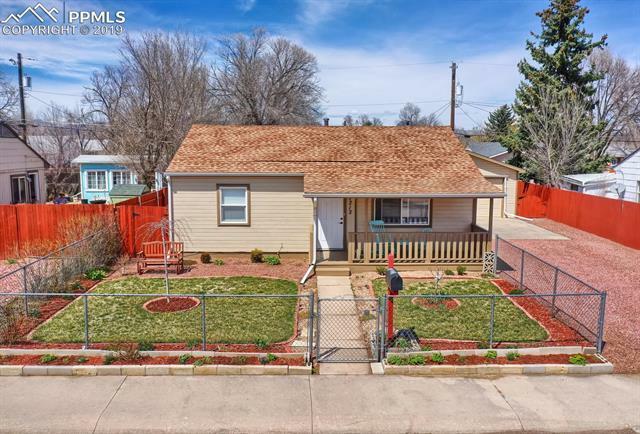 Centrally located and close to I25, Ft. Carson, Southgate Shopping Center, and an easy 18 minute commute to the Air Force Academy or Peterson AFB. Don't miss your chance to see this charming home! This is a perfect starter home or retirement home in a great location and priced to sell!